Get notified of New Beer Releases, Events & More! We are a farm brewery and we take this to heart. Whenever possible, we grow our ingredients or source them locally to supplement the typical beer ingredient with a true flavor of the North Fork. 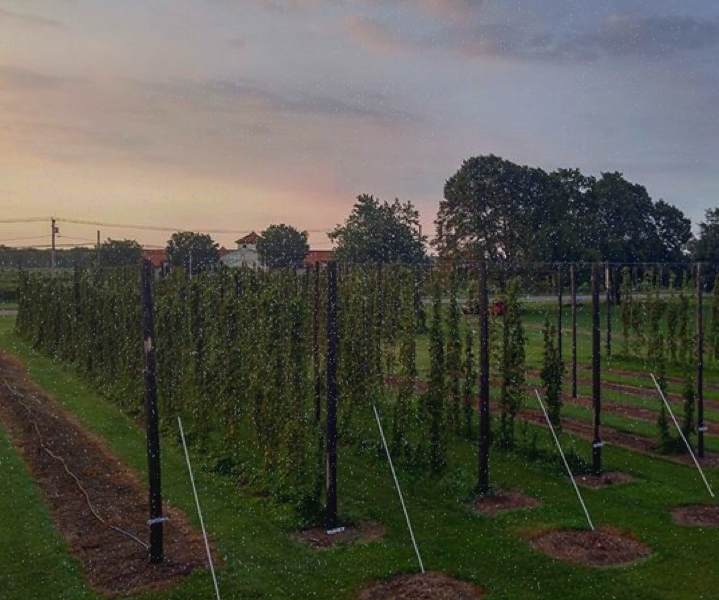 We grow all our own Nugget, Chinook, Perle, Liberty, Cascade, and Magnum hops (with many more coming) for use in our beers! North Fork Brewing Company is dedicated to creating craft beer anchored in our rich North Fork traditions of agriculture, hard work, and good times. We place emphasis on a truly local product. Many of our beers are made with regard to seasonal produce and the uniquely grown crops (and yeast) that can be found throughout our region. Our lives and livelihoods, and those of the people around us, are what make this place special and that is why we weave them into our beer. Copyright 2018 North Fork Brewing Co.